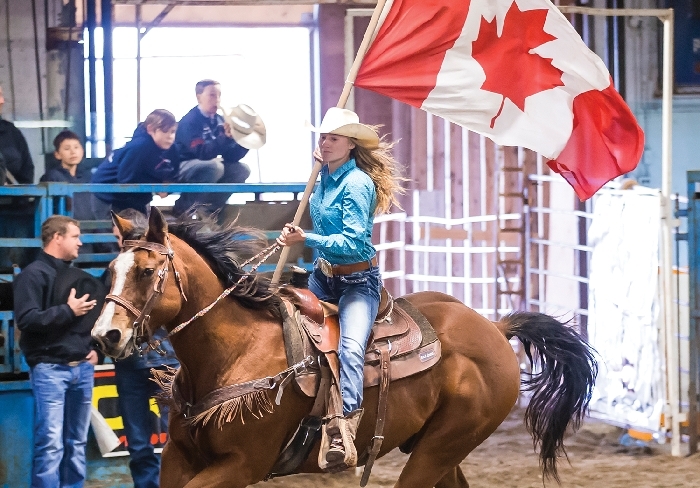 Joelle Garvey carries the Canadian flag during the opening of the Dodge City Days Rodeo in Wapella last year. Kim Poole took this great photo. The event features CCA and MRCA Rodeo action Friday evening and Saturday afternoon, Ranch Rodeo action Saturday evening and a Rodeo Cabaret Saturday night featuring Odd Man Out. The ranch rodeo starts at 6:30 pm Saturday.